I get this question quite often where the underlying idea of the question is: Can make X% in an FD deposit and am able to grab a loan at much lower interest rate making few thousands per year. Should they opt for it? What is my view on this? Let me share my views on it taking all the aspects that I think are important. First let us look at the scenario and check if it is at all possible or not? Checking the interest rate charts of each bank at money control I see the higher rate of interest is 10.35% currently. Home loan for most banks is in range of 9.85% to 10.15% and indicating that interest rate question that I get in comments and email can be answered with some numbers. When putting numbers in the above scenario, even if you grab a personal loan and put the money into an FD, you can grab a profit. We all want to be making some money without doing anything. So lets put some numbers into the scenario first and see how much can we make. 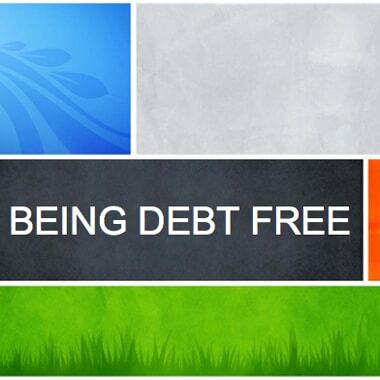 Borrowing 1L as personal loan at 15% rate of interest for a period of 5 years with no processing fees. The EMI and the total sum that we pay back taken from DHFL EMI Calculator is shown in the figure below. An EMI of 2379 for 5 years and we pay back the principal of 100,000 and an interest of Rs. 42,742. 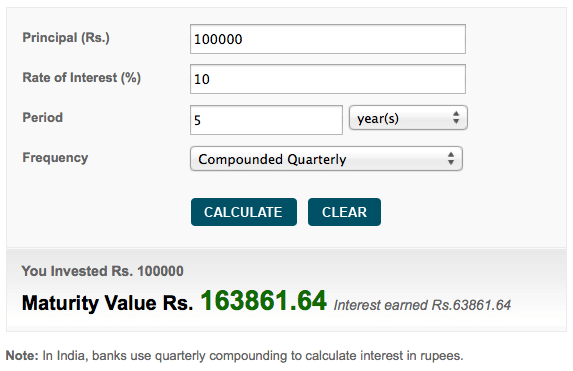 Now we put the same 1L into a fixed deposit for 5 years at 10% quarterly compounding interest. A profit of Rs 21,119. So have we found a system where we can make infinite sum of money? 2. The Question How It Happens? The question that may be bugging your mind is how can one make more money at a lower rate of interest? The answer lies in the way EMI works. When you pay your first EMI, you are actually paying back some part of the principal as well (though very little). So each month as you are making a payment, you are actually reducing your principal. In a tenure of 5 years, the prepayment for your principal (though very little) as you start your EMI is helping you grab some profit at the end of 5 years. The way I look at it is yet another reason to be investing in a loan as early as you can. 3. Should you opt for it? You know that there is profit to be made. You know how you are making a profit. So now the last and the final question – should you opt for it? Let’s look at practical aspect of it. We saw a profit of Rs 21,119 over a period of 5 years or 4223.8 Rs per year, or 350 Rs per month or 11.7 Rs per day. Is managing 2 more accounts, a personal loan account and an FD account worth Rs 11 per day? Couple more accounts means lot more managerial hassle that gets added in our life. Investing in an FD and grabbing a personal loan is just few clicks away these days but what happens after you have opted for both. Each month you have to make sure the bank account is funded at the right time for an EMI. Each year you have to submit the tax forms to avoid TDS deductions. If there are any TDS deductions, you have to claim a refund. And to get all this done correctly you are being paid 350 Rs per month. Is 350 Rs per month worth the hassles? I don’t think so because I prefer spending my time doing something better than earning Rs 350 per month. Something like learning more about better ways to investing or starting a new business or writing a blog post for my readers (like this one) or may be even reading few books on marketing, finance, entrepreneurship, programming … and the list continues of things that I want to be doing in my free time. I am sure there is a long list for you as well. What if you just use the same time with your family, kids or parent or may be even an outing with friends. Something that is priceless and cannot be compared to monetary returns anyways. What would you opt for? Working for such Rs 350 per month investment option or educating yourself for smarter investment opportunities? Share your views in comments below.